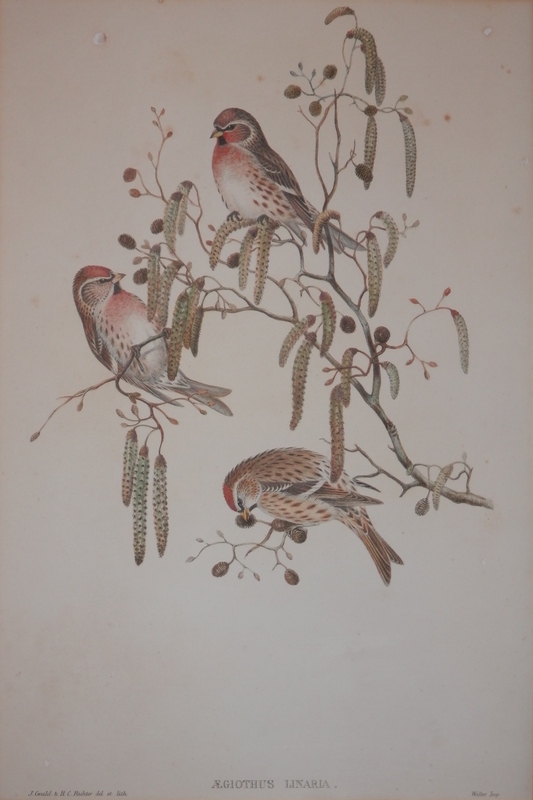 When one considers birds in art one must consider ornithologists by the names of #PrideauxJohnSelby (1788-1867) and #JohnGould (1804-1881). A pair of British ornithologists who were and still are renowned for their studies of birds. I have only one etching by Selby. It is of a female merlin perched on a rock. 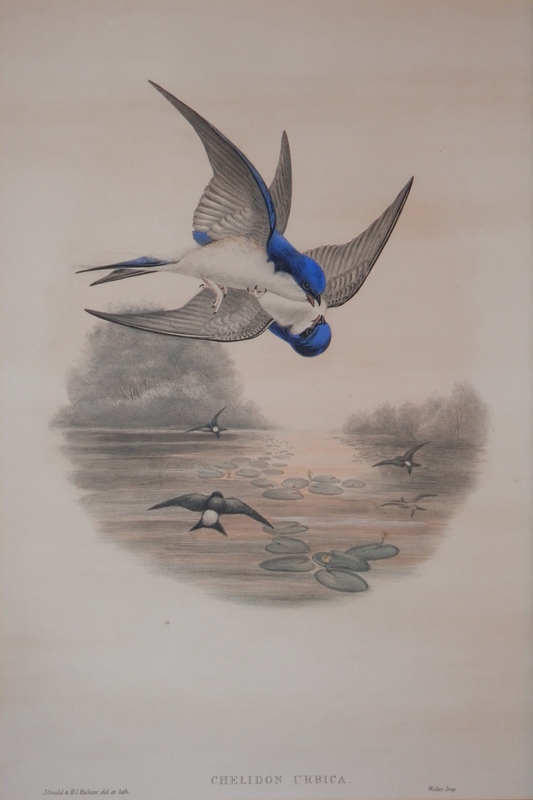 Selby is one of the best-known British ornithologist/bird illustrator of 19th century. He was the first to illustrate birds from Great Britain in life-size and in realistic action. A wonderful hand-coloured line engraving which was created around 1826. Selby was a great collector of specimens from which he created his drawings and etchings. He was a magnificent artist and etcher and his friends consisted of fellow great artists and scientists such as Audobon, Gould, Swainson, Jardine and many others. 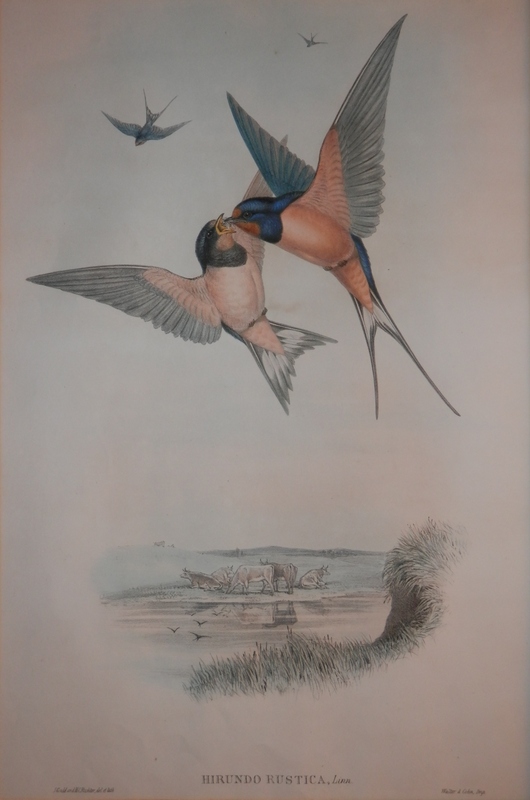 To John Gould of which I have four lithographs from his folio sized edition ‘Birds of Great Britain’ printed from 1862 to 1873. All the plates were hand-coloured after printing. 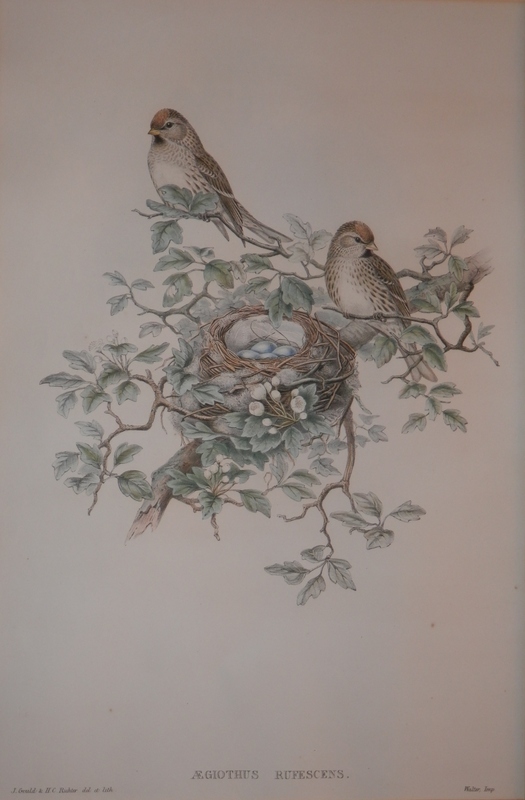 He produced the plates with the assistance of his wife, Elizabeth, and several other artists including Edward Lear, Henry Richter, Joseph Wolf and William Hart. He is considered the founder of ornithology in Australia. His identification of the birds now nicknamed ‘Darwin’s finches’ played a role in the inception of Darwin’s theory of evolution by natural selection. Gould’s work is referenced in Darwin’s book, ‘On the Origin of Species’. 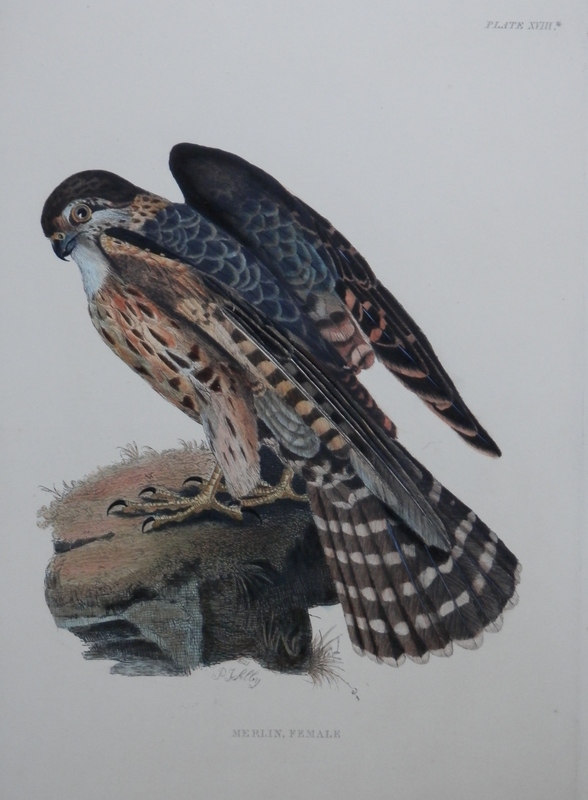 This entry was posted in Aquatint, Etching, Lithographs and tagged barn swallow, beak, bird, feathers, house martin, merlin, wings. Bookmark the permalink.